Class meets on Thursdays, 6:00-8:40 in Room Atrium 127. Jack Dougherty and Kristen Nawrotzki, eds. Writing History in the Digital Age: a born-digital, open-review volume. online publication (2012). David E. Kyvig, Nearby History: Exploring the Past Around You Third edition (2010) (AASLH). 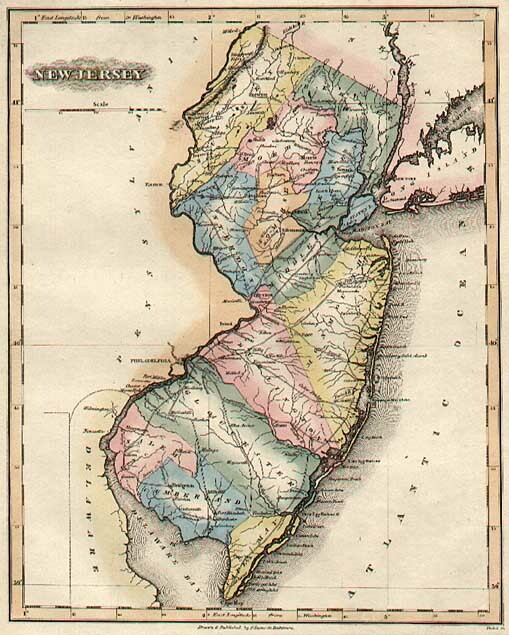 We will discuss the course goals, assignments, the use of the Wikidot site, and resources for choosing a New Jersey History topic for your digital archive and exhibit. LAB: Using archival search databases, internet searches, and local repositories to locate items. Introduction to Evernote. Jan. 23 -Week 2: What is Digital History? Toni Weller, "Introduction: History in the Digital Age," in History in the Digital Age (2013). Nicholas Carr, "Is Google Making Us Stupid? The Atlantic, July 2008. Kent Anderson, "The Battle for Control — What People Who Worry About the Internet Are Really Worried About", Scholarly Kitchen, March 20, 2011. Daniel J. Cohen, Michael Frisch, Patrick Gallagher, Steven Mintz, Kirsten Sword, Amy Murrell Taylor, William G. Thomas, III, William J. Turkel, "The Promise of Digital History," Journal of American History 95:2 2008. Email me if you would like to meet during class time. How are historical materials best digitized for preservation and for access? How do you obtain the rights to use them for web-based publication? Daniel Cohen and Roy Rosenzweig, “Becoming Digital” and "Owning the Past," in Digital History (2006) . Patricia Aufderheide and Peter Jaszi, Reclaiming Fair Use: How to Put Balance Back in Copyright (Chicago: 2011). Assignments Due: Post your biographical blog entry. Post the general topic and research plan you have selected for your digital archive on your student wiki page. How does the digital medium change the ways historians write? How do you attract and keep an audience? How does digitization change the process of research and finding information? Roger Whitson, "The Ins and Outs of a Professional Academic Website,", Feb. 7, 2012. Alex Sayf Cummings and Jonathan Jarrett, Only Typing? Informal Writing, Blogging and the Academy," in Writing History in the Digital Age, Spring 2012 version. Ryan Cordell, "How to Start Tweeting," Prof Hacker, Aug. 11, 2010. Find a history blog that interests you and be prepared to discuss it in class. What things do you look for in a blog? What things turn you off? Assignments Due: Post the general topic of your web exhibit to your wiki page. (Note: this can be the same topic as your digital archive, or a subset of that topic). Finding things in the digital jungle requires careful and consistent attention. Lab: Introduction to Omeka and Dublin Core (creating collections, items, and using Dublin Core descriptive metadata). Assignments Due: Post the first of three blog entries; Post one item to the digital archive with metadata by Sunday, Mar. 2 (midnight). Wait for feedback before adding more items. We will go over the sample items presented by students. Students should come prepared to enter additional digital items during the workshop as well as ask questions about how to handle specific items. Assignments Due: Read and rate other students comments on the blog and promote your post using social media tools. Select the topic and websites for you website-review and sign up for a date to present. How does the Web impact the way that we do historical research? How does it change the way that we think about sources? We will discuss Evernote progress during this class. William Turkel, Kevin Kee and Spencer Roberts, "A Method for Navigating the Infinite Archive," in History in the Digital Age (2013). Assignments Due: Be prepared to show and discuss your Evernote notebook in class. Mar. 20 - Week 10: no session Spring Break. Clay Shirky, Chapter 5, "Personal Motivation Meets Collaborative Production," from Here Comes Everybody: The Power of Organizing without Organizations (2007). Marc Perry, "Historians Ask the Public to Help Organize the Past: But is the Crowd Up to it?," Chronicle of Higher Education, Sept. 3, 2012. Assignments Due: Review and correct metadata for your digital archive items; post your second blog entry; add the section and page structure (just the titles) for your web exhibit in Omeka. David J. Bodenheimer, "The Spatial Humanities: Space, Time, and Place in the New Digital Age," History in the Digital Age (2013). Assignments Due: Review and correct metadata for your digital archive items. Read and rate other blog posts; promote your blog post. How do historians use visualization as a tool for research and display? Can computer games teach history? John Theibault, "Visualizations and Historical Arguments, in Writing History in the Digital Age Spring 2012 version. Visualizing San Francisco Bay's Forgotten Past, http://antspiderbee.net/2012/06/visualizing-san-francisco-bays-forgotten-past/ Ant, Spider, Bee blog, June 11, 2012. Stephen Ramsay, "The Hermeneutics of Screwing Around, or What You Do with a Million Books," Playing with Technology and History(2010). May 1-Week 16: No class - work on your exhibits. Individual meetings on any problems with exhibits will be arranged. Assignments Due: Comment on the three peerreview exhibit pages assigned to you. Web Exhibit Due: May 8: Your web exhibit is due; make sure it is set to "public" so that it appears on the NJHDA site.